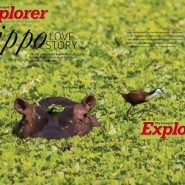 Karen Paolillo and the Turgwe Hippo Trust centre page spread in Intrepid Explorer magazine. (SA) Written by Rachel Arnold. 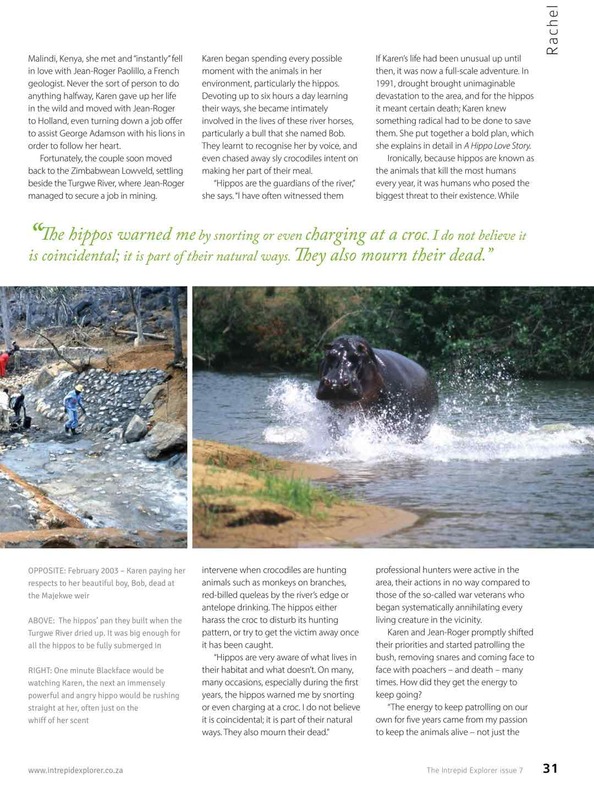 Here is the article they wrote and you can also download the pdf file using the link at the bottom of the page. 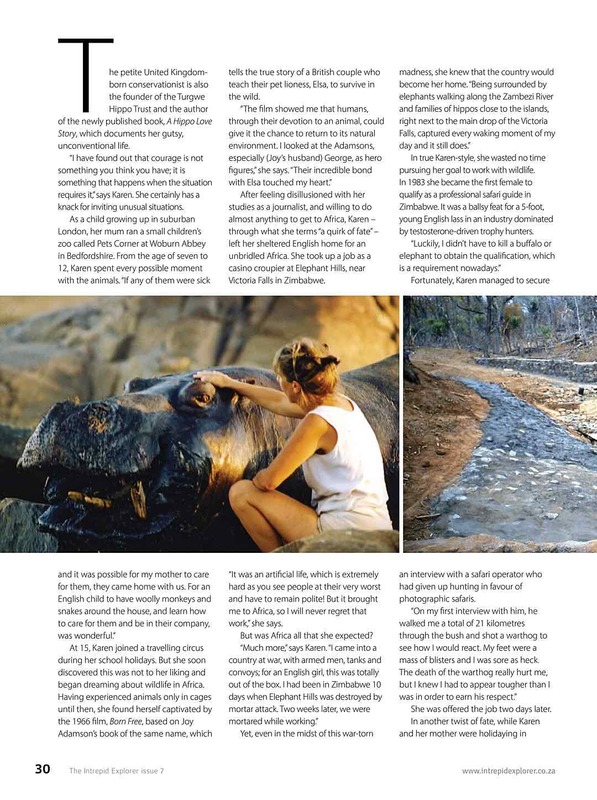 The full post in pdf format is available here. 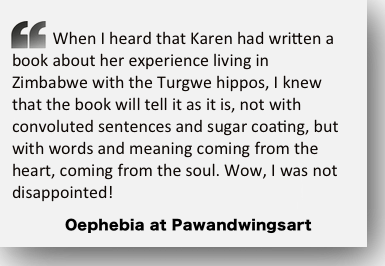 Karen your love story is beautiful. 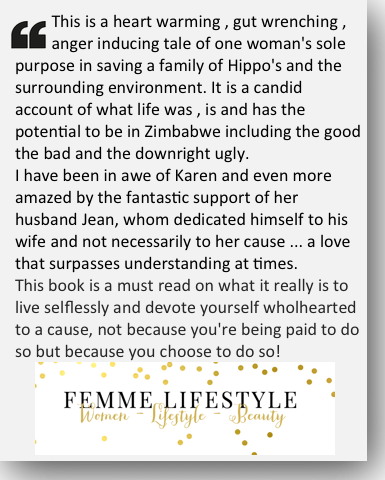 Your love of the magnificent animals of Africa and your husband gives you both the strength to go on in an uncertain world. 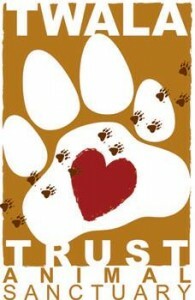 Many blessings to you both and to the wonderful wild Africa you are trying to save. 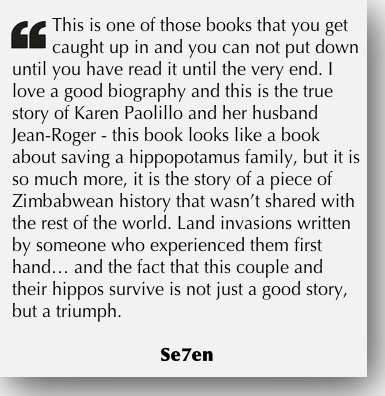 There are not many real-life animal champions out there with the total dedication shown by Karen, Jean-Roger and their devoted helpers. 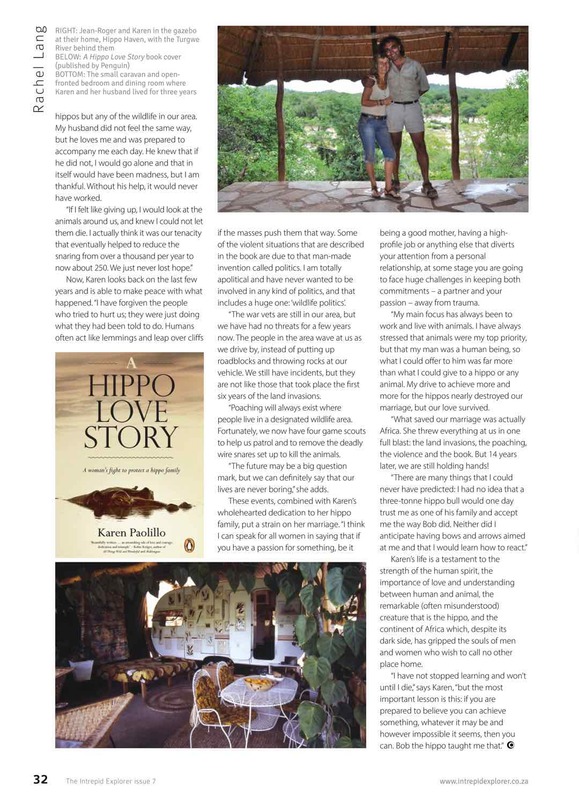 Many thanks to Rachel and the magazine for sharing this story. A joint email to all those above who had the kindness to make a comment on this article. 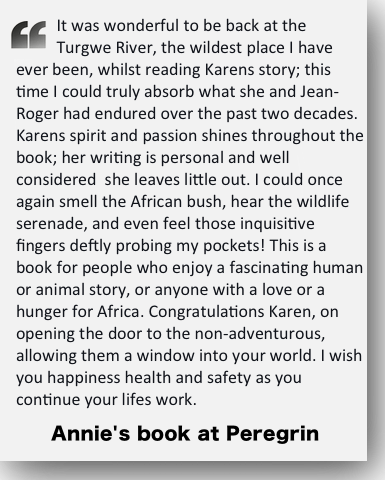 It really is wonderful to be sitting here in the African bush staring out at wild Africa while hearing the baboons and hippos in the background and then read these lovely thoughts. 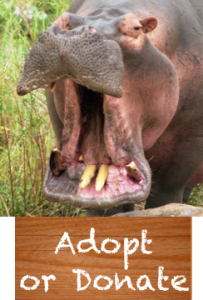 You the hippos supporters are what keep me focused I hope you all know how important each one of you are. 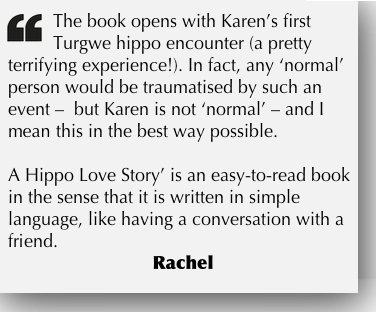 Much love to everyone Karen and all the hippos, and I agree Rachel did a great job of writing this article.